Social video has become a pivotal part of any content marketing plan. There is a multitude of platforms to host video content for your business: Facebook, YouTube, Twitter, Vine and Snapchat are all busy competing for video content creators. However, what many marketers find intimidating is the process of video editing—an essential part of getting the high-quality video content to represent your brand. The trouble is that video editing is a) hard, and b) expensive, right? Well, it doesn’t have to be. In this blog post, I’ll share some of the best cheap video editing apps for iOS and Android that anyone can use to make social video content. You don’t need a giant studio, a limitless budget, or a ten-person production team; sometimes, all it takes is a mobile device, some ideas, and one or two of these video editing apps to create a social video masterpiece. 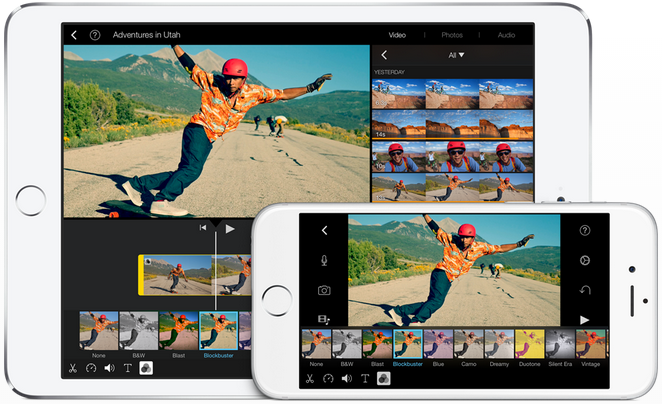 iMovie is Apple’s standard video editing app that comes already installed on your Apple device. iMovie makes it easy for you to browse and share HD video you shoot on your iOS device, allowing you to turn your favorite clips into professional-looking videos with transitions, music, text, and other visual effects. After just a few taps and swipes you’re able to instantly share the new video on your choice of social network. Replay is a video editing app made for heavy Instagram users. 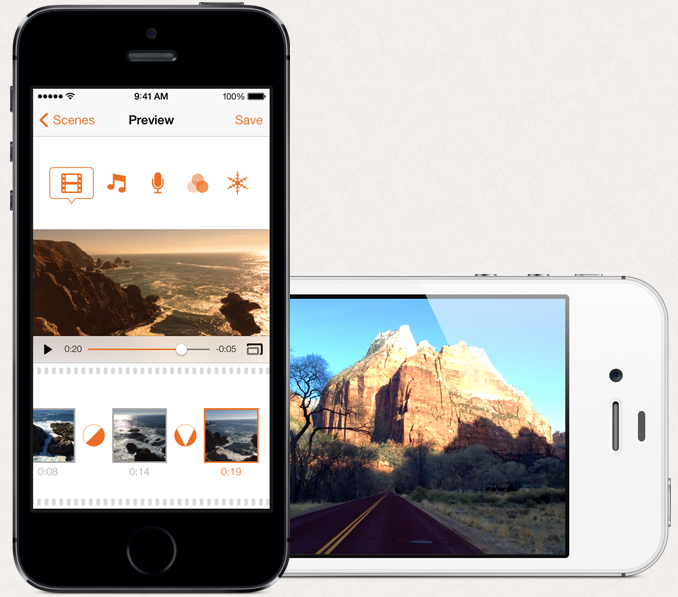 Turn your photos and videos into movies with seamless transitions, perfectly synced to your choice of music. This app comes with plenty of tools and filters to edit videos from your camera roll, iCloud, or record straight from the app. Like any other app, enhance your experience and your videos with in-app purchases, like removing the watermark or adding more filters and effects. Turn photos and video clips from your Android or Apple device into professionally edited movies with Magisto Video editor. This app will automatically arrange and add effects to your videos and slideshows without any extra effort, giving you a fully innovative video to share to your social networks. Magisto has over 65 million users and has been featured on the Google Play homepage in 130 countries—so it’s a popular choice for many video editors around the world. Instagram is always looking to bring their users the best experience on their platform. With the rise of social video, it was no surprise that Instagram launched Hyperlapse, an app to capture high-quality time lapse videos. Hyperlapse from Instagram features built-in stabilization technology that lets you create moving, handheld time lapses that result in a cinematic look. It’s simple, fun, and adds a new layer of engaging content for your Instagram audience. 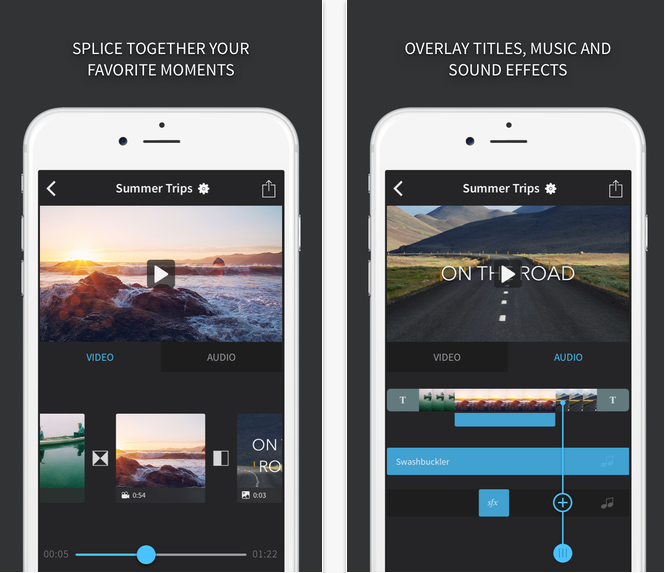 Splice is a free and easy to use video editing app that gives you desktop quality tools. Mix and match your videos, photos, and music to create a masterpiece you can’t wait to share with the world. Use its video and audio timeline for precise control and simple editing. Add more editing capabilities with in-app purchases. The Lumify video editor is suitable for beginners, so even your grandma can use it to help out with social video. This video editor can mix and match videos, add music from your music library or you can choose from their own stock music, add voice overs, filters and effects. Once your masterpiece is done, you can easily share it to your choice of social network. Just beware: this app is so easy to use, that once shown to your grandma, your Facebook News Feed may be filled with grandma videos. 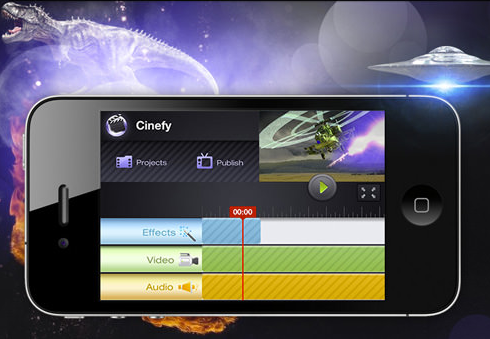 If you really want to impress your audience, Cinefy is the video editing app for you. Turn your iPhone-captured videos into Hollywood-ready videos with their effects packs, overlay effects, and sounds as real as many of Hollywood’s biggest blockbusters. Although this app can take up to 1GB of space on your device, for video superstars the effects are worth it. Touted as the best video editor app for Android, AndroVid lets yo easily cut, trim, edit, and add music to your social videos instantly. Take advantage of adding text, frames, and effects to your videos. Unlike other video editing apps, the best feature of this app is the ability to convert any video into mp3 for free. Video Maker Pro is a completely free, open source, video editing and authoring app. It is a fully featured video editing program, excellent at creating professional looking videos in minutes. It has received a 3.5 out of 5 rating by Android users, which highlights the quality of this video editing app. Noted as the first and only professional video editor available for Android devices that is on par with any PC video editing software, Kinemaster is a professional-grade video editing app. You’ll have no need to connect your phone to any external device or servers, because everything you need to edit your videos is in the palm of your hand. Its slick multitrack video timeline gives you the ability to drag and drop content as you wish. Once your video is complete you’re given the option to save it in various resolutions, up to 1080p, or share it on your choice of social network. This fast, simple, professional photo and video editing app is equipped with state-of-the-art technology. It provides advanced HD video recording ranging from cinematic 24fps to thrilling 240 fps for HFR filming or impressive slow motion playback. WeVideo is a powerful cloud-based video editor that is easy to use that allows you to capture and edit your favorite moments in minutes. It features an intuitive, easy-to-learn interface. This app also allows cross-platform editing, so you can start editing your video on a mobile device and pick up where you left off on WeVideo’s desktop editor. Now that you have this list of 12 video editing apps, go ahead and download one of these apps right now and share it with your followers. You’ll be surprised to see how many people engage more with videos. If we missed a video editing app that you absolutely love to use, please share them with us in the comments below! Kristina is an Online Strategist at Hootsuite. She focuses on bringing Hootsuite.com's visitors a great web experience!